The Kingsbridge tile collection features classic patterned ceramic floor tiles in a satin finish. 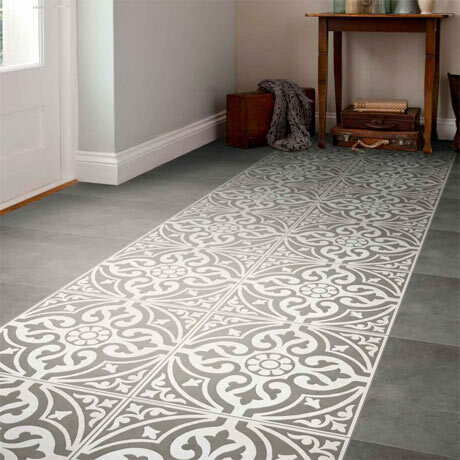 Square in shape, this stunning floor tile is ideal for creating a focal point in any room. I must say they look stunning! The misses chose these four our new bathroom renovation. I must say they look stunning! We ordered 5 boxes and only used 2 and half boxes. That was down to the tiler not adding in the shower and bath! never mind, now its finished it looks great. I find the floor really sets off a room.